With two new movies, Yuvvraaj and Ghajini, A.R Rahman’s music is again all over the place. And like every time, the music is going to be appreciated and detested with great intensity. It has been some time now, since some people have started groaning against A.R and his works. I didn’t care about all those uproars at the beginning. But as you listen to more and more of those old classics from Rahman, you would slowly start to contemplate some kind of a ‘fall’ in his present day’s works. I ‘am not good at technically specifying ‘what went wrong’, but I sure can assure you that something is not the same. It’s with great hope and delight that we are waiting for each new work from ARR. But faithfully, things are not paying like they used to be. Speaking of Yuvvraaj, the main track ‘Tu meri dost hain’ appeared promising and signaled something greater in the original album. But unfortunately, that wasn’t the case. ‘Mastam Mastam’ and “Zindagi’ are the only two tracks that can be categorized as ‘likeable’. “Zandagi’ was almost near becoming a real good one, but failed because of its evident similarity with other works (“Lukka Chuppi”- RDB, anyone?). Then there was the fast number, ‘shano shano’ which simply..err… pisses you off! Usually you can’t easily hate a ‘Rahman work’, however bad it may be, but “shano shano” is an exception. “Manmohini morey” is another good composition, but I seriously doubt how many will really like that song. A very interesting point about the album “Ghajini” is that the best track is the instrumental version of “Kaise Muhje”. But now if you listen to the original version of ‘kaise mujhe’ it’s a letdown (for someone who loved the instrumental). Can’t understand why that is happening. I wouldn’t go as much to call the main track “Guzarish’ a bad one, but come on its A.R Rahman and you rightly deserves a lot better. “Guzarish” is however, the kind of song that would get better with each listening (something which doesn’t applies to the ‘Yuvvraaj” tracks). Other songs in the album are just ‘okay’ kind, by the Rahman standards. In Tamil, “Sakarkati” another recent work from ARR has this fast number “taxi taxi”, which will just make you go like, ‘come on Rahman didn’t do that…’ Maybe that song is not bad as such, but that’s something anyone out there could easily create. Neither Rahman’s magic nor his great experience is needed for such a sunken piece of music. It’s really what you call a down fall. “ADA, the way of life” is the only album in recent times, that could be called as a ‘complete’ work from Rahman. At some point or another, all these songs would get really exciting and will have that Rahman seal in them, it could be a humming or a fading instrument in the background or anything, but unfortunately nothing is getting complete. 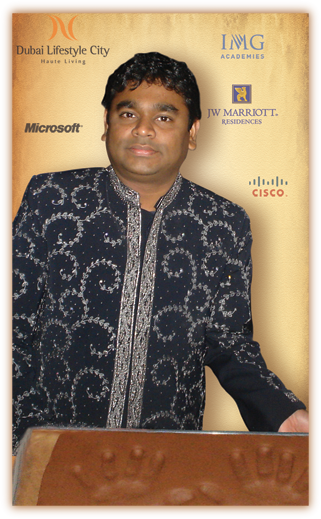 Like with all those great guys, Rahman’s greatest competitor is he himself. His works can never be rated on comparison with the works of another music director. That’s because even the worst work from Rahman is better than the best of many others. Still, when you feel a particular album from him is disappointing, it’s because you didn’t get the kind of delectation that you considers granted with every Rahman songs. Maybe this so called ‘fall’ is just the invention of some unimaginative and conventional kind of perspectives, which can’t afford to understand the depth of change. Maybe it’s Rahman going in search of music with greater depth. Whatever, I simply don’t enjoy the kind of intimacy that I used to have, with AR’s music these days, and that is really a bad thing! This entry was posted on Sunday, November 23rd, 2008 at 5:06 pm and is filed under Movies. You can follow any responses to this entry through the RSS 2.0 feed. You can leave a response, or trackback from your own site. I agree partially but its Taxi Taxi from Sakkarakatti that was a hit than Ada thou it had great songs so ppl’s expectations are changing so the music has to cater to them..
100% agree wit u bro! ARRs song doesnt have that ‘thing’ these days..
Sakkarakatti was alrite.. I luvd a few of the songs.. But most of em were remixes. Chinnamma from meenaxi, Noorunullah from the same movie etc etc. ‘Taxi Taxi’ rocks! And then there is Yuvrraj! I detest those songs yaar! I hate em! Irritating! I TRIED lovin it! But i cant..i cant find any beauty in them..
AND GHAJINI! Guzarish is good..but not upto the standards..and i lik Aye Bachchu..
Was a die hard fan of ARR. Dont kno wat went wrong. Ran out of gud music did he? Hope he cud make better ones in the future! Else he is sure of loosin his fans! Don’t think he is actually out of good music…he will strike back…soon…hopefully…! Is this what you call music with depth, kya? “yeah..the music is done by ar..you can buy the cd.all songs will be good..”no matter if u haven’t heard any sng,before buying the cd..
we say that “ar touch” its diminishing…. when we just look through the recent films he has done..
yuvvaraj ,sakkarakatti..only one or two songs are good..
then coming to most successful album(of the year)- JANE TU YA JANE NA..:and all songs where hit and trend setting..
Arrangment of instruments…is what ar stands out for!! (don’t forget the sng “anjali..anjalii,,”where he put saxo…)..
After Slumdog, Delhi 6 and connections….don’t i look like an idiot for writing this post. Hii frnds n co Ramnanics….being a musician n die-hard fan of AR.Rahman..i can say something to u all..
u all know wht..? ?AR.Rahman’s music is being extraordinary and unreachable to everyone becoz he used to program his each and everysong in his beginning days..movies like Roja,Gentleman,Jeans,kaadalan(premikudu),Kaadal desam(premadesam) etc etc etc etc….and now a days the since is extremely busy he’s give songs to get programmed by some best programmers in india like Praveen mani,Ranjit barot,Joshua Sridhar,G.V.Prakash, and now recently Krisha Cheten…but ARR is very particular abt the out put no doubt in that..so wht i feel is since they dont have the MAGIC of AR.Rahman they sound somewhat like ‘something missing n etc etc…and am sure this is definitely one of the MAJOR reason….and one more very IMPORTANT thing, we should also think about changes in our environment, change in our taste of listen to music and lots and lots of psychology problems regarding ONLY AR.Rahman not others..
Iam Expecting for his Future projects..”Blue, Sultan The Warrior, Ravan, Enthiran – The Robot, Winnai Thaandi Waruvaya..Etc..etc..”…he will rock sooooon..
Of late A.R.Rahman’s music has become not only melody-less but also ordinary.There are hardly any tracks which are even passably hummable.The reason for this is Rahman seem to be just banking upon what he had churned over the years and in the process has stopped thinking about the music the way he used to do in 90s. Even the music in Slumdog Millionare is pretty ordinary although the Academywallahs thought otherwise. I guess with entry of fresh talents like Amit Trivedi,Rahman needs to reinvent.Otherrwise,we’d remember the musician he was.